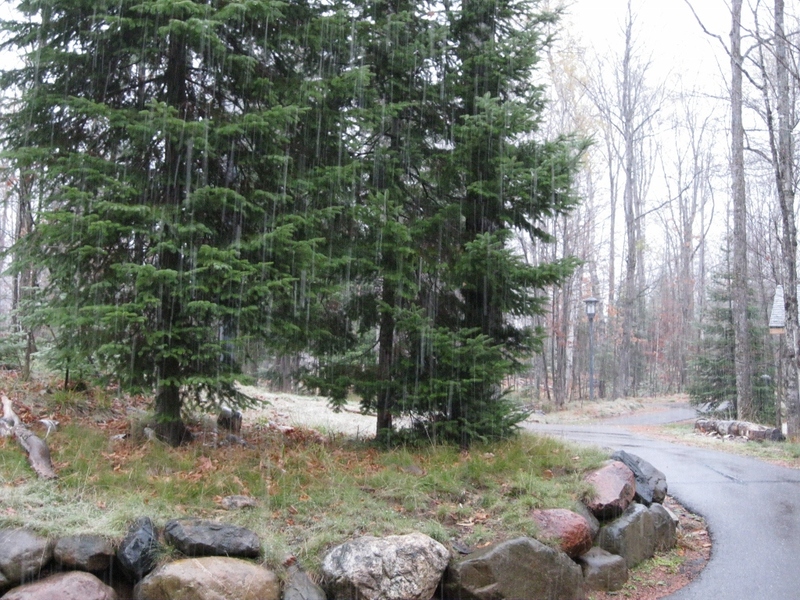 Ummmm, it’s 5:10PM on October 25 and THE RAIN JUST TURNED INTO FREAKING SNOW. The teenage boys I live with are running around like maniacs. I just heard one of them yell “Snowball fight!” It is, in fact, sticking to the grass, so if the precipitation keeps up over night when the temperature drops we could actually have an inch on the ground by morning. Welcome to Wisconsin! It is a long way to April. What a surprise! Snow in October. Well, maybe not for Wisconsin. I envy your snow.